Our last post was about Strasburg in the rain. It must have been my fate as 2 days ago I found some railroad history down the road from my Grimsby town in Niagara. 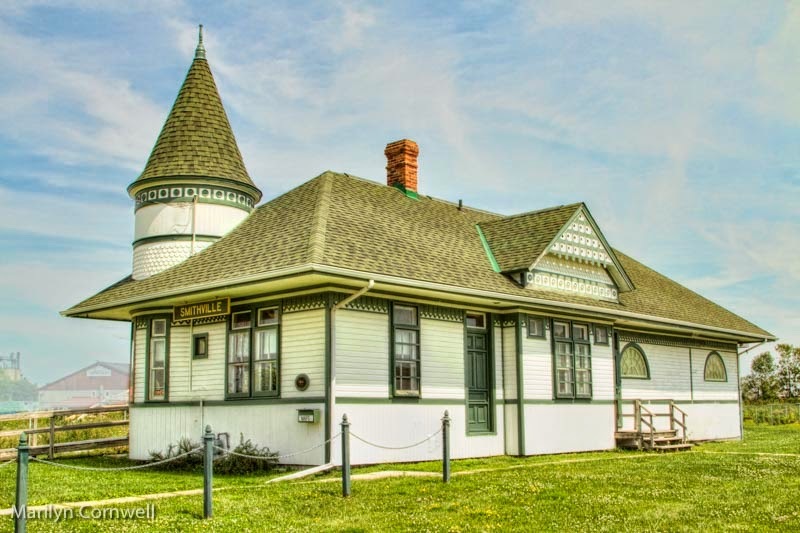 This is the Smithville Railway Station. As the first one, built in 1895, was hit by lightning and burned, this one replaced it in 1903. It was built by the TH&B Railway who built a rail line from Toronto to Buffalo. Today it houses the West Lincoln Historical Society who owns it and restored it. More history at: http://www.wlhs.info. We've got three versions of the station. The first one has a touch of HDR treatment to bring out the sky and roof details. I decided on script for the second to tell the many stories that a railway station represents. The third has the addition a faint imprint of a postcard, to represent the sense of excitement of a trip that a rail trip would mean back then.